Hardaway, who died in January at age 50, was the program manager at Ball Aerospace for "Ralph," one of seven instruments flying aboard the New Horizons spacecraft. Ralph contains a powerful infrared spectrometer called LEISA – an acronym for Linear Etalon Imaging Spectral Array, and pronounced "Lisa" – that the team has now named after Hardaway. 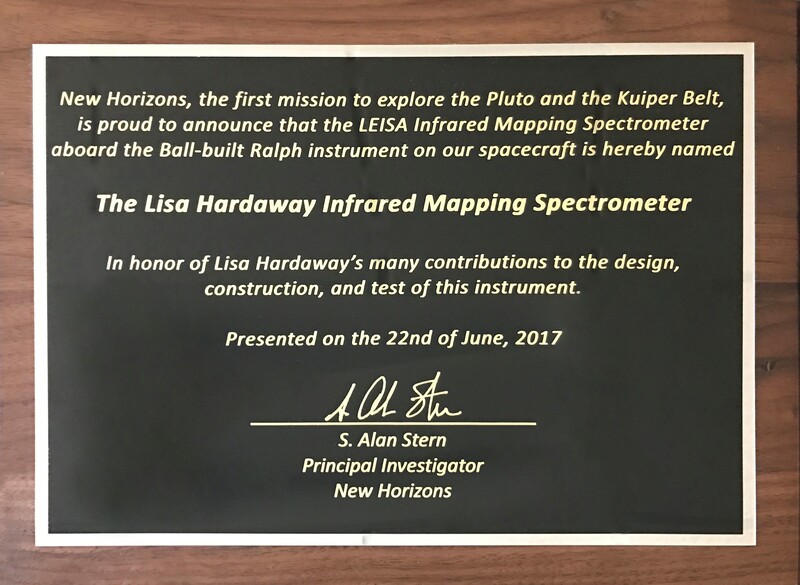 "Lisa made incredible contributions to New Horizons and our success in exploring Pluto, and we wanted to celebrate those contributions in a special way by dedicating the LEISA spectrometer in her honor," said Alan Stern, New Horizons principal investigator from Southwest Research Institute in Boulder, Colorado. After flying more than nine years and three billion miles, New Horizons sped past Pluto in July 2015, returning remarkable pictures and measurements that reshaped our views of the outer solar system. Ralph is the main "eyes" of New Horizons, with scientists tapping its data to make geological, color and composition maps of Pluto and its moons. Ralph was so named because of its spot next to an ultraviolet spectrometer called "Alice" on the spacecraft, a nod to the famous couple in "The Honeymooners" TV show. Before LEISA, the New Horizons team made two similar tributes by dedicating other payload instruments. 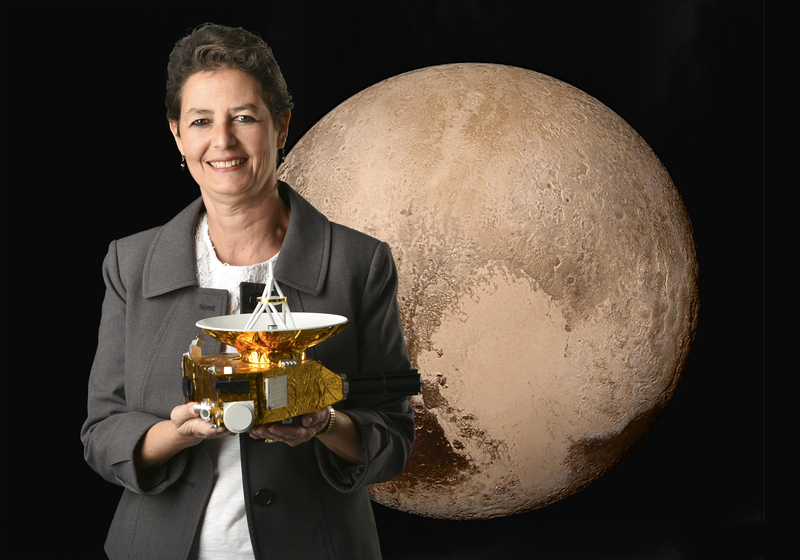 In 2008 the team named the Student Dust Counter for the late Venetia Burney, who was an 11-year-old student when she suggested the name Pluto for the newly-discovered ninth planet in 1930. The Alice instrument was dedicated to mission science team member David Slater, who died in 2011. 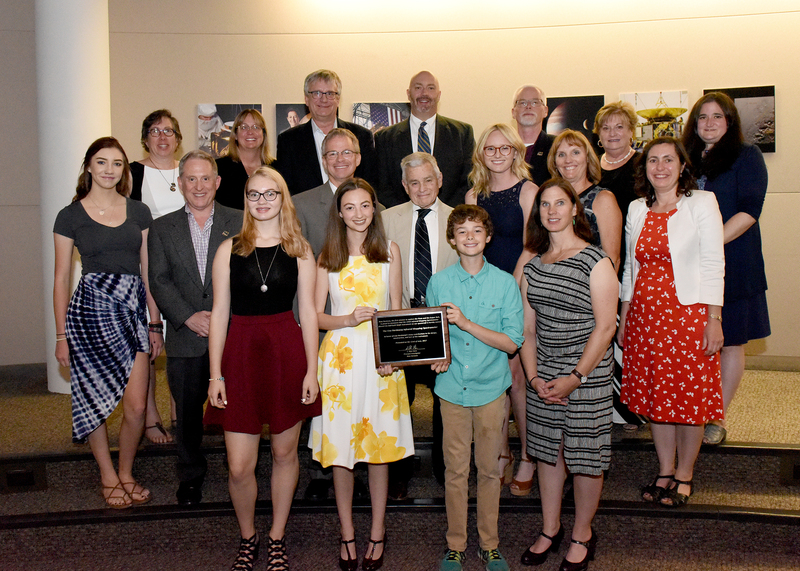 "Lisa played a critical role on several of Ball's more significant scientific programs from New Horizons, Hubble and Orion, to the Boeing F/A 18 E/F fighter jet and other national defense projects," said Rob Strain, president of Ball Aerospace in Boulder, Colorado. "She made a positive impact on the careers of many, and her contributions will continue to give back for years to come." Hardaway's contributions to aerospace extended far beyond New Horizons. She was the Rocky Mountain Section of the American Institute of Aeronautics and Astronautics' Engineer of the Year for 2015-2016, and earned the Women in Aerospace Leadership Award in 2015. As a leader, Hardaway highly regarded the importance of recognizing and helping to advance the talents of others, especially championing and mentoring female engineers. She served as a co-instructor on the joint Ball-Johns Hopkins University Master's in Systems Engineering program, was a member of the University of Colorado's External Advisory Board for the Department of Aerospace Engineering Services, and regularly gave her time to support local schools and STEM education. The Johns Hopkins University Applied Physics Laboratory, Laurel, Maryland, manages the New Horizons mission for NASA's Science Mission Directorate. Alan Stern, of the Southwest Research Institute (SwRI) is the principal investigator and leads the mission; SwRI leads the science team, payload operations, and encounter science planning. New Horizons is part of the New Frontiers Program managed by NASA's Marshall Space Flight Center in Huntsville, Alabama. APL designed, built and operates the New Horizons spacecraft.